THIS IS OUR DISCOUNTED INTERNET PRICE REDUCED FROM THE MANUFACTURERS RECOMMENDED RETAIL PRICE OF £16695 ON A DEMONSTRATOR CARAVAN. AS WELL AS REDUCING THE CARAVAN BY £2132.00 A LUXURY PACK CONSISTING OF A MICROWAVE, CD/RADIO AND SPARE WHEEL CAN BE PURCHASED FOR AN ADDITIONAL £399.00. ALSO INCLUDED ARE THE FOLLOWING: PRE DELIVERY INSPECTION, NUMBER PLATE, HITCH COVER AND FACTORY DELIVERY CHARGE OF £585. THERE ARE PART EXCHANGE DEALS AVAILABLE AGAINST R.R.P. CALL US ON 01257 220222 AND SPEAK TO OUR SALES TEAM TO GET A NO HASSLE BOTTOM LINE PRICE TO CHANGE. AT STEWART LONGTON'S 'WE NOT ONLY SELL, WE SERVICE AS WELL'. THIS IS THE CHEAPEST 2018 ADRIA ALTEA SEVERN ADVERTISED IN THE COUNTRY AND WON'T BE AROUND LONG AT THIS PRICE!! 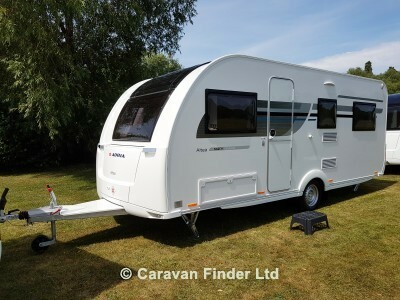 THIS CARAVAN IS SITUATED AT OUR MOTORHOME SHOWROOM, POSTCODE PR7 1SA FOR SAT NAV USERS.